Is someone on the phone telling you about an emergency and they need you to buy a gift card? It’s bogus. So, this is the latest scam. It sounds more like something that scheming teenager next door might do than the efforts of large organized crime, but who knows. Shady types come in all shapes and sizes. Here it is. Like so many other money scams, this one involves a crank call by someone who says they’re from “the government”. (Or, some other large agency). They alert you to an emergency situation that’s going on right NOW. They call on you for your much-needed help, and to be effective they need your money, of course. But actually, this time it’s a little different. They say that an iTunes gift card would actually be the best ticket to fix the mess at hand and put the world straight. And they need you to buy it. Is it just me, or does this sound like someone asking you to save your traveling cousin who’s stuck on Mount Everest by buying them a bag of marshmallows? Or, you know, maybe a $300 gift card for the Keg, just to make sure they can enjoy themselves once they get back? How thoughtful of you! I kind of feel that anyone who actually gets caught in this scam and DOES buy the gift card, deserves to be duped. But let’s face it, unfortunately we all know that’s not true. Here’s the deal: most of you reading this blog would never respond to such a crazy request. You’d see through it immediately and identify it for what it was: pure, devious fraud, it’s that simple. But what your elderly father, or your great-aunt sitting alone in their living room on a Sunday afternoon watching the sun? No, they may not catch on. They’ve likely never heard of iTunes. Or if they have, they aren’t sure they heard the person speaking to them on the other line, correctly. They must have said something else! These people are the criminals’ prime targets. Please read this post and warn your relatives and friends. If it sounds fishy, then it is. • Don’t give out any personal information to the caller. • Don’t transfer money or codes to anyone that you don’t know and trust. • Know that even if the phone number looks legit, it doesn’t mean that it is. • Know that you can block contacts from your phone. • Take the necessary time to make decisions. • If you have questions or concerns, contact your local police or the company that produced the gift card. • are on the phone or looking at it repeatedly during the transaction. 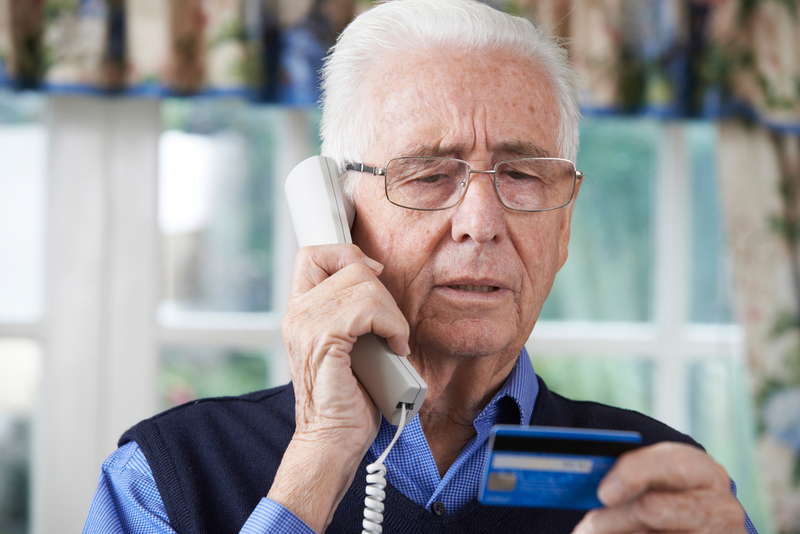 If you’ve been the victim of a scam, contact your financial institution and local police. If you have information about a scam, please do us a favour and report it to the Canadian Anti-Fraud Centre (1-888-495-8501). Let’s catch these guys before they do too much damage.